Weeds that have grown over six feet high and over 20 feet thick, or ones with equally disturbing proportions, may not respond well to your little set of clippers. You’re going to need a real tool to hack these things down, something as fun as a machete. A machete will not only slay tall weeds in a single swoop, but you’ll also get a very poignant point across to your neighbors that you are someone not to be messed with. You can cut weeds with a machete with an easy to learn technique. Set up your work station. Take the machete and the garbage receptacle out to the weedy area. Make sure the machete’s blade is sharp enough to hack through even the toughest weeds, reeds and other ugly growing stuff. You can sharpen it with a sharpening stone if needed. Put on a pair of thick gardening gloves. Grasp the offensive weeds. Use one hand to grasp the weeds about two feet off the ground, sort of like if you were grabbing someone by their hair. Pull the weeds taut. Begin to hack away. Use your other hand not grasping the weeds to firmly hold the machete with all your fingers wrapped securely around the handle. In one, strong sweeping motion, hack at the weeds as close to the ground as you can without hitting the ground. Hitting the ground may slow down your swing and dull the machete. Move on to the next section. Repeat your grab and hack method throughout the entire weed patch until all the offensive weeds are successfully cut down. Collect all weed debris in a very large, strong garbage bag or equally substantial pail. You may want to haul your main garbage can out to dump the weeds while you are still holding part of them in your hand. Otherwise you may just end up with an unwieldy pile of weeds as thick as they were standing. The pile may look ominous and you may become too lazy-or scared-to go pick them up. As much as you love gardening with your toddler, cutting weeds with a machete is not the time for togetherness. Machetes are tough. Also feel free to hack at any stumps and branches that are blocking your path. Always start at the outside perimeter of a weed patch and work your way inward. For weeds that are especially long, you may want to start by first cutting them in half and then cutting them close to the roots. You can follow up your weed hacking by applying a weed killer directly into the remaining roots. You can also use a shovel or rake to rake up the roots once the long weeds are gone. Otherwise, they will just grow back. Beware of any debris mixed in with the weeds while you are hacking away. 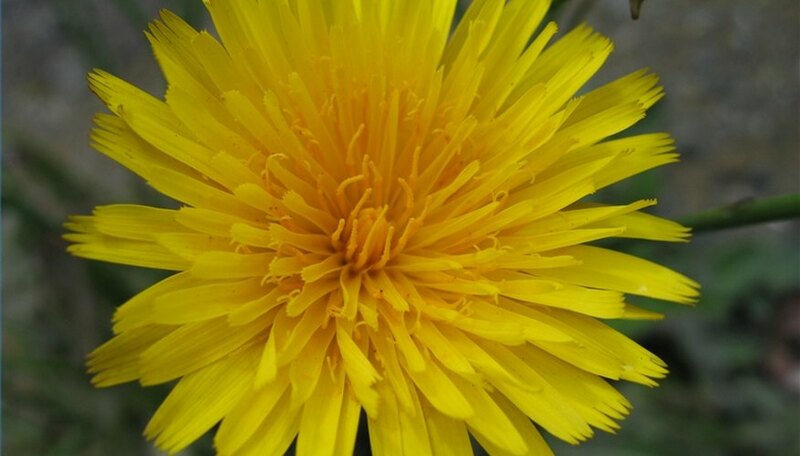 Don’t use a machete to cut a few smallish weeds surrounding your plants or something easy to eliminate, like a field of dandelions.